Become the best Pokémon Trainer as you battle other Trainers, Gym Leaders, and the sinister Team Rocket. Catch Pokémon in the wild using a gentle throwing motion with either a Joy-Con™ controller or a Poké Ball™ Plus accessory, which will light up, vibrate, and make sounds to bring your adventure to life. You can also use button controls in Handheld Mode. Share your adventure with family or friends using a second Joy-Con or Poké Ball Plus (sold separately). 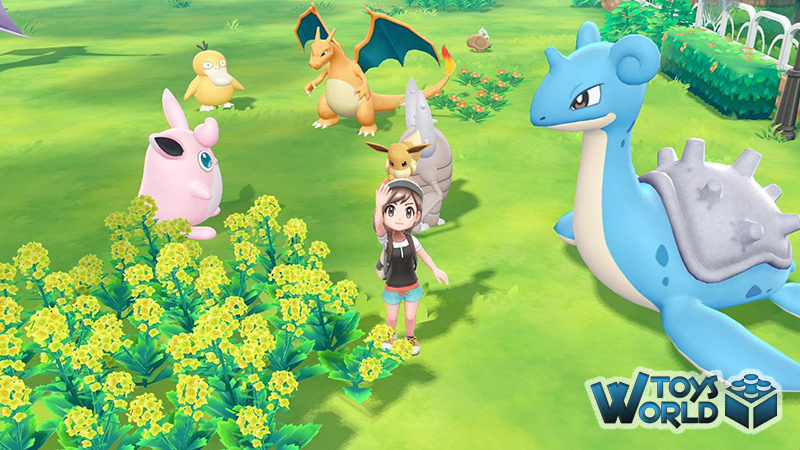 You can even connect to the Pokémon™ GO app* using a compatible smartphone to bring over Pokémon originally discovered in the Kanto region! This coming March sees the 2-year marker since the Nintendo Switch hit stores. 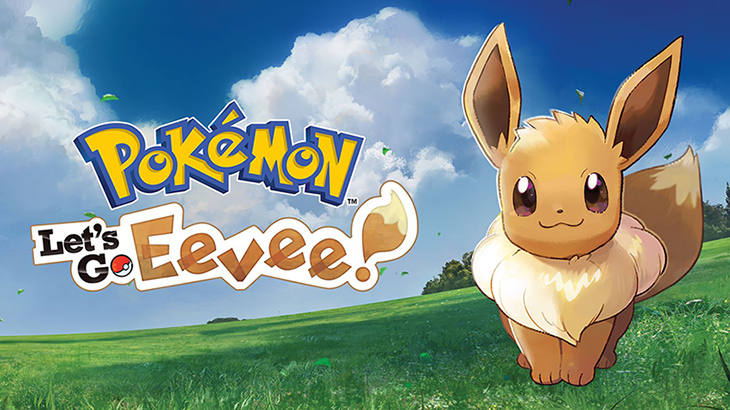 Aside from Pokkén Tournament and Pokémon Quest, gamers have been chomping at the bit for a core series Pokemon title. 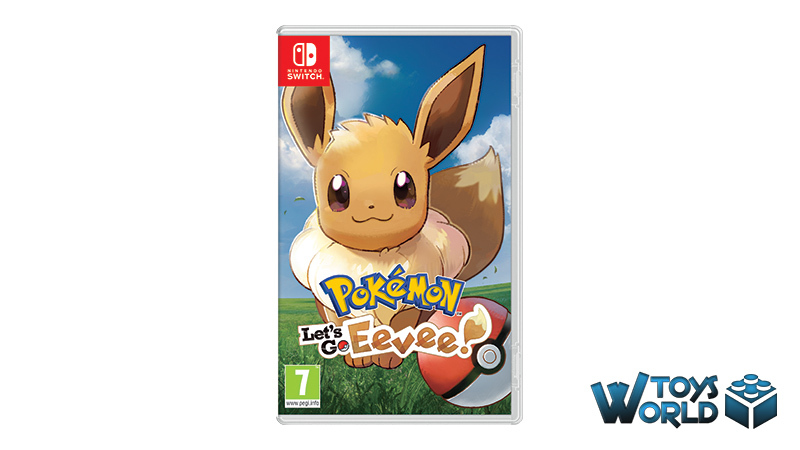 Finally, and in true Pokémon style – 2 have come along at the same time in the form of Pokémon: Let’s Go, Pikachu and Pokémon: Let’s Go, Eeeve! Essentially, there’s very little in the way of difference between the two game options, other than the starter Pokémon you travel with will either be Pikachu or Eeevee, respectively. 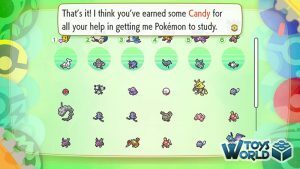 Certain Pokémon are exclusive to each version, too, so it may be worth doing some research before you buy to ensure your favourites are included. 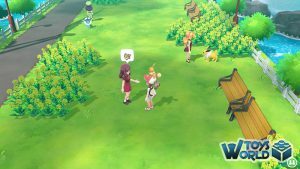 As with some of the recent Nintendo classical revamps, Pokémon: Let’s Go has a healthy balance of nostalgia, whilst giving us everything we ever wanted in the form of slick graphics and, for the first time, fully fleshed-out versions of the cities and characters from Pokémon past. 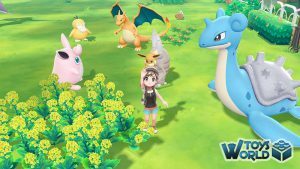 Pokémon: Let’s Go almost serves as a bridge between Pokémon GO and the main series of games we’ve become used to. 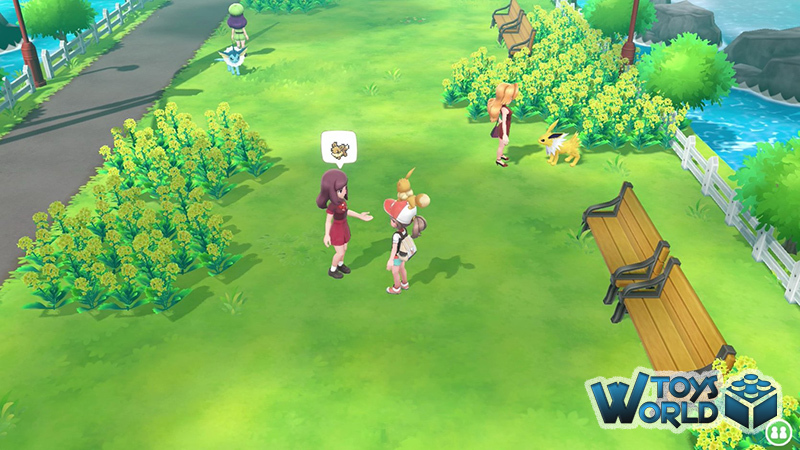 Whilst gameplay is familiar, there are some big changes here – especially with the way in which you catch Pokémon. 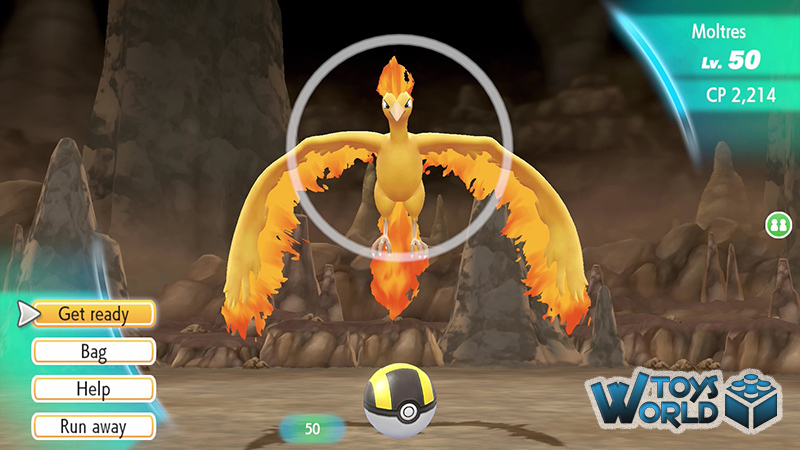 Capture style has very much been inspired by Pokémon GO; gone is the ‘battle, weaken and capture’ style, and replaced with the ball throwing style. There’s even a nifty Poke Ball Plus controller (sold separately) that you can use to add a fun, more immersive way in which to catch your Pokémon. The unique set up of the Switch, almost makes you feel like you are playing two different games. 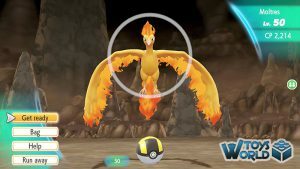 Connected to the TV, everything is bright and open and spacious, but when you switch to handheld mode, you are instantly transported back in time to the Pokémon days of old (even though it’s exactly the same screen as in TV mode). Such is the beauty of the Switch, that you will enjoy both modes equally. 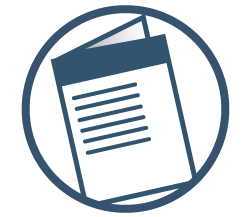 Many other reviews have pointed out how easy the game is to beat, and while this is true, we don’t necessarily think it is a bad thing. 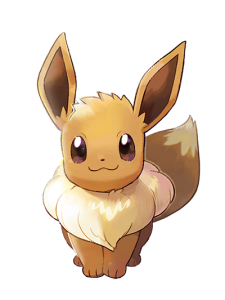 If you’ve never played Pokémon before, it is a great entry title, and sometimes it’s nice to just sit and play without the stress of complexity. Overall, this a fantastic reimagining of a classic. Not only does it deliver from a nostalgia point of view, but its fresh coat of paint, glorious graphics and interconnectivity with Pokémon GO, make it a title that will have longevity, and hopefully, a string of sequels / add-ons. 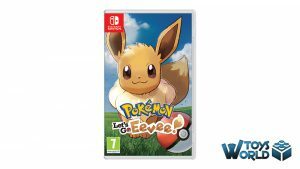 + BUY Pokemon: Let’s Go, Eevee from Amazon.co.uk! 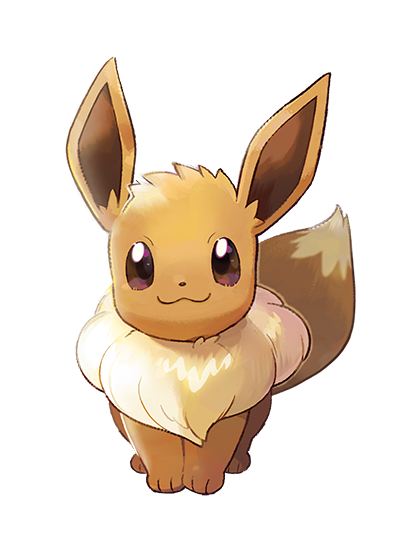 Featured, Video Games & Consoles Eevee, Pokemon, Pokemon GO, Pokémon Let's Go, Pokémon Let's Go Eevee. permalink.